home > Top Global University Project > News > TUT Research | No.12 (February 2018) has been published. 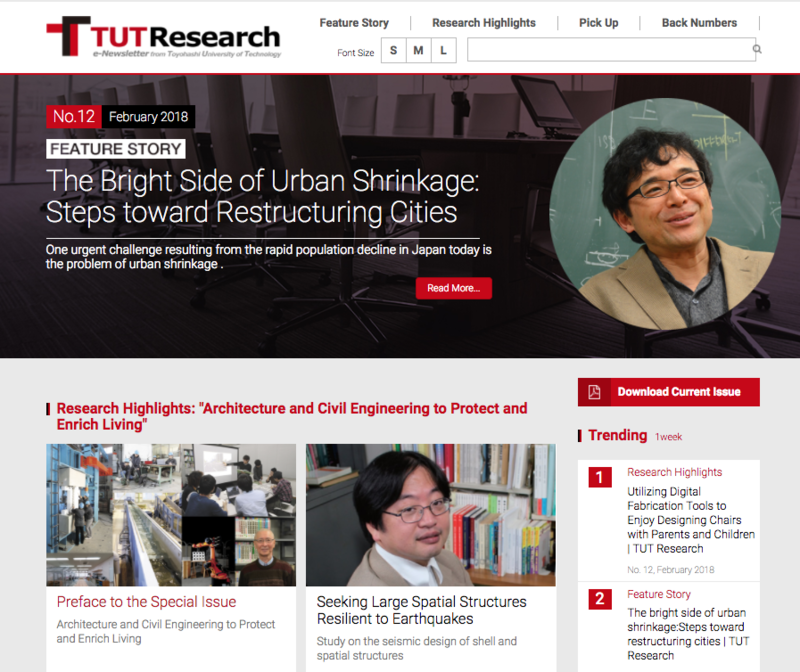 We are pleased to inform you that the 12th issue of e-Newsletter from Toyohashi University of Technology "TUT Research" has been published. e-Newsletter "TUT Research" has been published since July 2015, to publicize the research activities of Toyohashi University of Technology. Since then, many articles from the newsletters have been introduced in various news sites around the world. home > Alumni > News > TUT Research | No.12 (February 2018) has been published. home > Current Students > News > TUT Research | No.12 (February 2018) has been published. home > Business & Community > News > TUT Research | No.12 (February 2018) has been published. home > Study at TUT > News > TUT Research | No.12 (February 2018) has been published.